When a company looks at cutting costs, one of the first things to get affected is the customer care team. Since most customer care teams are outsourced, the pain of letting people go doesn’t feel real and is easier to bear. Also, there’s always the lure of the cheaper call center around the corner that will make your account books look healthy again. Whether you are a service-based business or a budding new ecommerce site, letting customer service suffer in a bid to grow profits is like stepping on the brakes hoping your car will go faster. 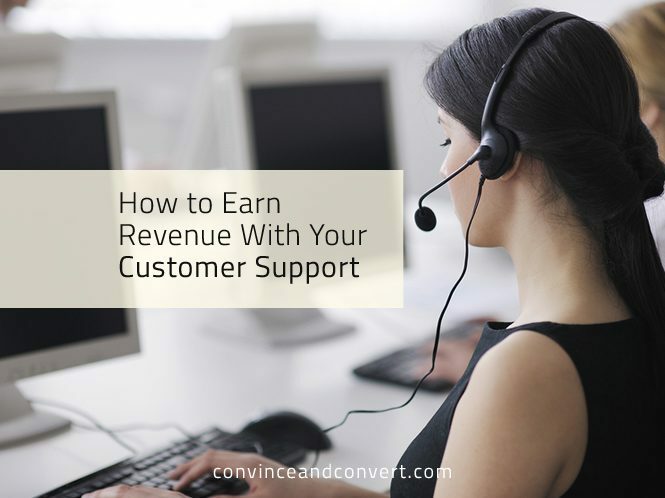 Customer care, when done right, has the power to earn you revenues and not just be a drain on your resources. Here are a few ideas on how to bring about that transformation in your customer care team. If you’re treated wonderfully at a particular hotel, would you think twice about booking there again the next time you’re in town? Probably not. Research shows that customers adhere to the principle of reciprocity. You treat them well, and they reciprocate by bringing their business to you again. According to a study by Bain & Co., increasing customer retention rates by 5% can increase business profits by 25% to 95%. The study goes on to cite the example of fast food chain Chik-Fil-A to prove its point. Chik-Fil-A enjoys such strong customer loyalty that it pays its store operators double or triple the industry average pay and still affords to give 10% of their profits to charity. Gone are the days when customer care was limited to the telephone and, maybe, email. Today, customer care is everywhere. Websites have Live Chat options that allow users to speak to a customer care representative via chat while they’re in the middle of browsing your site or even making a purchase. Customers reach out via social media and expect answers instantly. This increased exposure to customer care means representatives are ideally suited to offer customers reasons to visit your store again—in the form of coupons. End every customer care interaction with a special coupon that tempts your customers to come back and buy again from you. The multiplicity of customer touch points makes customer support teams perfect for this role. Moreover, a free unexpected gift along with the perfect solution to their initial problem makes a great combination to end the call with, don’t you think? Many businesses have products that don’t have a very long shelf life, like food items. Others sell products that need upgrading every now and then, like smartphones. Yet others offer products that run out on a cyclical basis, like dog food. Whichever category your business comes under, your customers are often perfect candidates for a refill or an upgrade. Reach out to your customers, and remind them about their product that’s about to run out. Don’t do this over the phone; you’ll only be yelled at. Instead, say it gently with an email. Make sure your reminder emails carry a “Buy” button that helps them re-order immediately, if they so desire. Sending them a direct message via social media with a link to the product page is another quick, non-intrusive, and effective way of doing the same. Fast food chains have their upsell and cross sell techniques down to a science. When the clerk at the register asks you, “Do you want your burger with extra cheese?” or, “Shall I throw in fries with that?,” saying anything but yes seems impossible. Train your customer care team to apply this insight into their calls too. The trick to a good phone upsell or cross sell is not coming across as robotic. Make the request in a friendly, “Oh, I’m helping you out,” kind of way. The minute customers smell a hard sell, they run for the hills. The online version of this is effective and consistent content marketing, where selling becomes as subtle as adding a “Buy” button to blog posts describing your products’ benefits. An infographic compiled by KISSmetrics shows that companies worldwide lose about $338 billion per year due to poor customer care. Of this, $83 billion are lost in the US alone. If bad customer care is making you lose business to the tune of thousands of dollars every year, isn’t it time you invested a little more time and resources in your customer service and helped stem the leak? A proactive customer care team makes sure your customers’ problems are taken care of in a professional manner and potential complaints with your product are nipped in the bud. Happy customers equal fewer lost dollars—and we all know a dollar saved is a dollar earned. Channel these savings into growing your business, and voila—you have a revenue-positive customer care team! Anyone who’s ever sold on eBay or Amazon knows how important seller ratings can be to closing a sale. As shoppers, we overwhelmingly put our faith in the wisdom of the crowd and tend to patronize sellers that are rated highly for customer service. We avoid those that might be cheaper but are rated terribly when it comes to customer care. Use this insight to develop a world-class customer service team that commands a higher price. Let that be your differentiator from competition. Once users acknowledge the superiority of your product and services, they will be open to paying a slight premium to avail better customer service. This is not just wishful thinking on my part. Research by Ebiquity corroborates what I just stated: 68% of US customers will gladly shell out a 14% premium to companies that offer good customer care, just to be treated well! Customer care can be a tricky boat to keep afloat. But it’s one of those no-risk, no-reward avenues—once perfected, it offers your business the key to long-term customer satisfaction and sustainable growth.